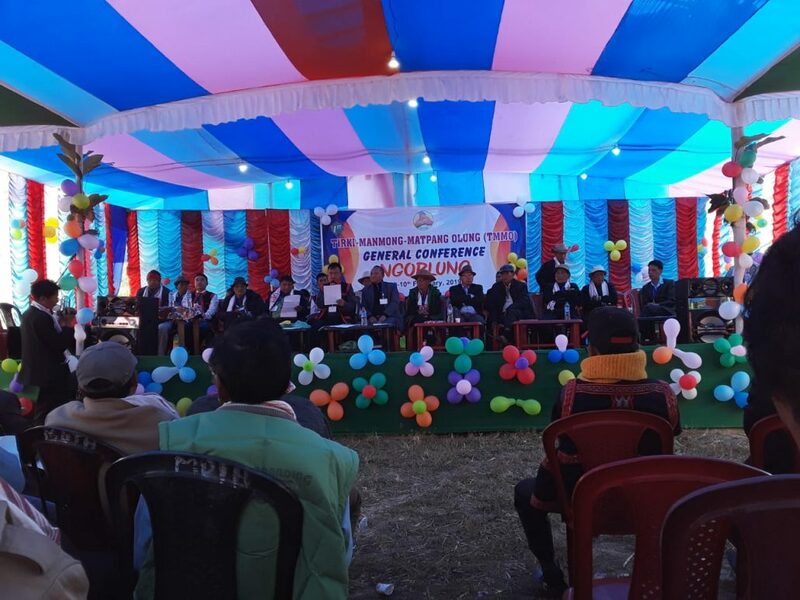 The two-day general conference of Tirki Manmong Matpang Society (TMMS) which was held at Ngorlung village near Ruksin at Pasighat in East Siang district of Arunachal Pradesh concluded on Sunday. The conference concluded with vows to promote inter-community welfare, to strengthen the brotherhood among the society clans and to fight against drugs and other societal impeding issues concerning the youths of the society. The TMMS which comprises of many clans and communities spreading widely across five districts of Arunachal Pradesh met at Ngorlung conference where many social issues concerning the society were discussed at length. The TMMS unanimously selected Tasing Sitang Eko, IFS as president and Tado Muang as secretary general of the society for the session 2019-22. While informing about the objective of the society, TMMS president, Tasing Sitang Eko and secretary general, Tado Muang said that, many inter clans and communities’ common interest and development will be addressed and solved from this common society while keeping up the larger interest of each clans and to spread universal brotherhood among the society. Drugs and other anti social habits impeding the society which is turning cancer for many youths will all be addressed, added Eko and Muang.